Today I have another kale juicing recipe to share with you. If you, like me, absolutely love carrot apple ginger juice and could drink it every day then you will love this juice! 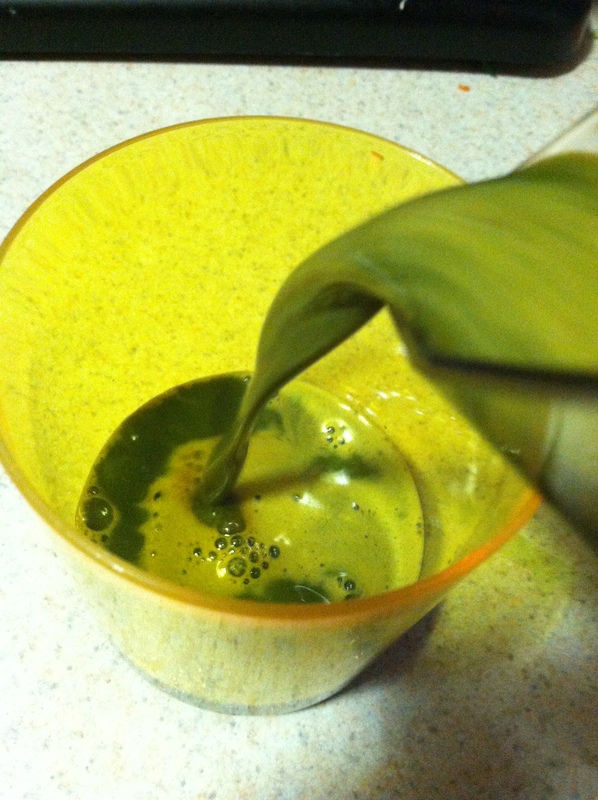 The flavors from the carrot and the apple and the ginger root really mask some of the more bitter taste of kale. This is great because you can put so much kale in this juice and get all the health benefits of it but still have a really great tasting juice. Wash your kale very well to remove any dirt on it. Then also wash your carrots and apples. I cut all of these ingredients into small juicer friendly chunks and alternated with the kale and then with the apple or the carrots. This helped my juicer to push the kale through and make sure it was juiced to it’s capacity while also eliminating any possibility of the kale clumping in the juicer, like how spinach sometimes does. Simply juice all of your ingredients and then pour into glasses and enjoy! I enjoyed my kale carrot apple ginger juice this morning with a small bowl of homemade tofu yogurt and fresh berries. You could also enjoy this juice with a piece of toast with hummus, guacamole, earth balance butter, or even tofutti cream cheese. 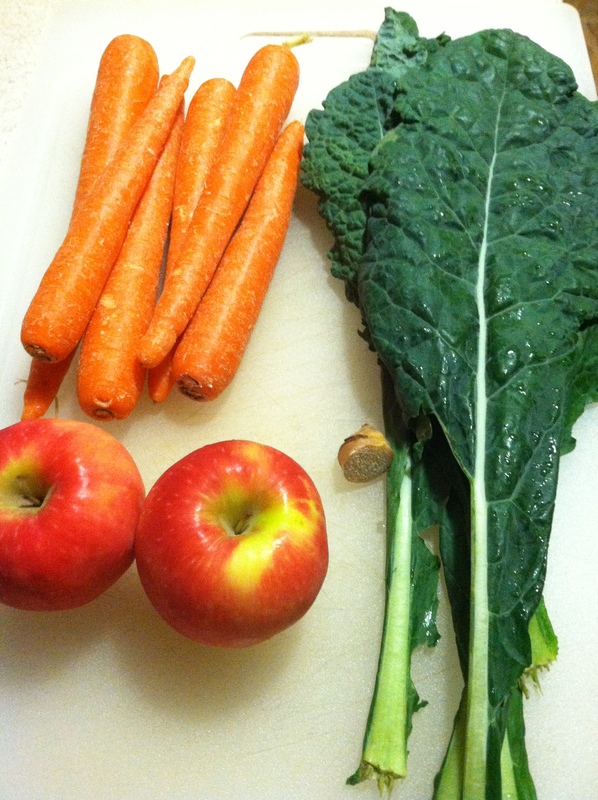 One serving of this kale carrot apple ginger juice will give you 214 calories and 50 grams of carbohydrates. It will also give you over a 1,000 milligrams of potassium and 5 grams of protein. In terms of vitamins, you are getting 14% of your daily vitamin E, 29% of your daily vitamin B-6, 164% of your daily vitamin C, and 973% of your daily vitamin A. In terms of minerals, this juice is literally giving you everything you need. Some of the minerals you are getting from this juice include, but are definitely not limited to, 14% of your daily iron, 16% of your daily folate, 21% of your daily calcium, 22% of your daily copper, and 57% of your daily manganese.